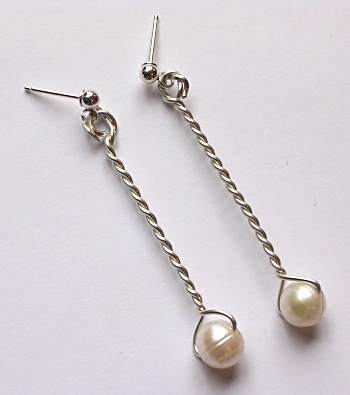 A simple pair of wire and pearl earrings. I wanted to highlight the pearls without overpowering them whilst adding something different to update the pearl earrings look. You can download my instructions for making these earrings here.